In my recent speech to the Co-operative Party Centenary Conference, I referenced the projects and campaigns our young members have been involved in over the last twelve months. One thing not mentioned in my speech was that many of these young members are under the age of 18. Earlier this year these young co-operators helped elect a record number of Labour & Co-operative MPs to Parliament and work tirelessly all year around to help develop and promote our movement, values, and policy. Outside our movement 16 year-olds are able to join the armed forces, pay income tax and national insurance contributions, consent to medical treatment, get married or enter a civil partnership, become a director of a company, and become a member of a political party, trade union, or co-operative society but yet they are still denied a basic right of any democratic society, a vote! 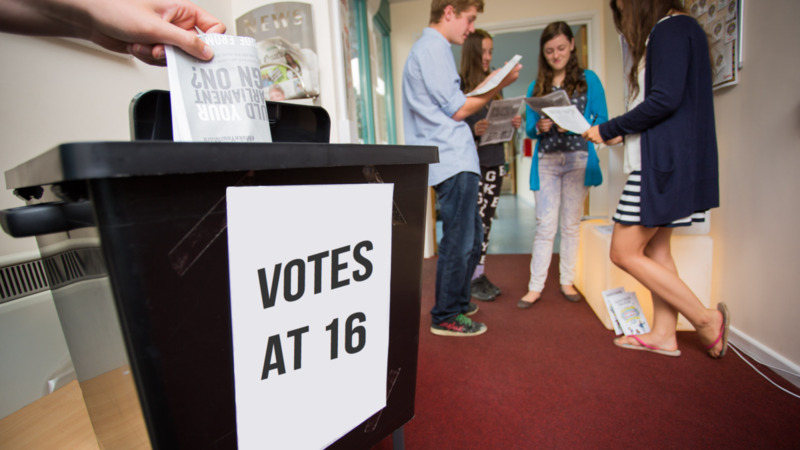 16 and 17 year-olds are being denied the chance to influence decisions made at national and local level by politicians who develop policy on issues which affect their lives every day, and to add insult most of the arguments denying 16 and 17 year-olds a vote are the exact same ones which were used previously to deny women the vote. While this bill has cross party support, I am proud that it is co-operators in Parliament who are leading the debate. There are over 1.5 million 16 and 17 year olds in this country, and we should be embracing the opportunity presented by this new Bill to empower them and improve participation in our democracy, where turnout at the ballot box has been steadily declining since the 1980s. In Scotland they have taken steps to address this already, allowing those over the age of 16 to have a voice in the Scottish Referendum in 2014. This was important for many reasons, not least that often younger people are denied a voice on issues where the outcome will impact them the greatest. Allowing 16 and 17 year olds a vote on the question of Scottish Independence ensured strong engagement from young people, where across the country approximately 98% of eligible people were registered to vote and over 84% cast a vote. However, in the recent referendum on Britain’s membership of the European Union, those aged 16 and 17 were unable to have a say at the ballot box in a decision that will have far reaching consequences for their futures. This is a tragedy we should not allow to continue, and we must trust that 16 and 17 year olds are able to exercise and informed opinion, and provide the political education from a younger age to support this through “Citizenship and Constitution Education” (CCE). Learn more about the Votes at 16 campaign. You can follow the debate here.